After the alpaca farm dog, Buck, attacks a jogger, animal control takes him away based on a witness' account. While investigating a home robbery, Bryce overhears a very revealing conversation that could lead to an arrest. The kids love challenges, but this is too much! With Buck the farm dog gone, the alpacas are no longer protected from predators--or people. When the alpacas vanish one night, Ashley and Bryce hunt for clues. They pray for safety for themselves, the alpacas, and Buck. Can they save these animals that they've grown to love so much? 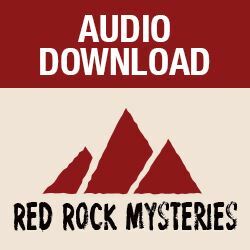 Ashley and Bryce think they are in for a summer of fun and adventure when tragedy strikes the town of Red Rock. A series of home robberies sweeps through their neighborhood, and Bryce investigates one of the homes. Ashley is bullied by a classmate, which leads her to pray spitefully. When Sam's friend decides to take a vacation for the entire summer, Ashley and Bryce are offered a gig of a lifetime: to be ranch hands at an alpaca farm! The family seeks the lessons of Jesus when they're faced with need to love and forgive others (even the difficult people). Will Bryce ever figure out who is behind the robberies?